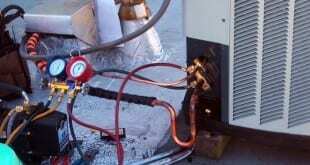 Do you stock most major brand furnace and A/C parts in your service truck to fix my air conditioning system or heating system? Yes, there are many different HVAC brand name parts, we carry many of the brand name parts in our trucks. If your part is not on our truck we can order it and have it installed in a matter of a few hours. Can you give an approximate price of repairs over the phone? Yes, if you call the office and one of our office personnel answers the call, they will dispatch the call to one of our service technicians in the field and he can give you a approximate repair cost based upon your explanation. Sometimes. If our service technicians judges that the HVAC repair can cause a financial burden to you then he will call the office for flat rate pricing for that particular repair. There have been cases where trouble shooting a repair can prove very difficult and to be fair to the customer we will authorize flat rate pricing. Over the years due to the economic times we have stopped offering in house financing, however we have many financing companies to assist you for financing. Can a dirty filter cause rattling in a furnace? Answer: Yes it could, a dirty furnace filter can cause over heating of the blower motor thus warping the motor mounts and blower wheel. Also some furnaces have furnace clips to hold the filter in place and that could Cause rattling. What should I do when carbon monoxide detector goes off? Answer: If your carbon monoxide goes off you should shut down all appliances immediately, if you can, open windows and doors. If you can’t call 911 and leave the premises until the firemen or HVAC contractor tells you it’s safe and clear of Carbon Monoxide. 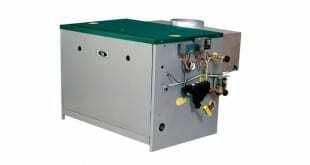 What is intermittent spark control on steam boiler? Answer: The intermittent spark control on your boiler starts the pilot and burners to the boiler. That is usually after the damper opens and allows voltages to the spark board. Can a dirty air Filter cause my furnace to break? Answer: It sure can and will, if the filter gets dirty or clogged the furnace will over heat causing numerous problems which starts with the furnace short cycling, as well as the problems created by short cycling such as; burnt out blower motor, burnt out high safety control, igniter failure due to too many lights. I believe the igniter is good for about 25000 lights. 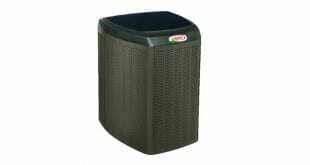 Can i move my central air conditioning unit? Yes anything is possible with a little imagination. In most cases your central air conditioning system can be relocated on your property. Call an HVAC contractor, they can tell you what your options will be once they are at your property. Do you need to skim a steam boiler when new pipe has been installed? Answer: If you are getting a new steam boiler a skim valve should be installed at center of water line for skimming debris and oil residues out of boiler. How can you tell if your low water cut off is working on your steam boiler? Answer: Without being to technical, lift handle and let water out, if the burners shut down and the water feeder starts to fill that may be a good indicator that the low water cut off is working. After you close the low water cut off drain handle, and the water feeder stops filling and the burners come back on, then that too may be a good sign your low water cut off is operating correctly. 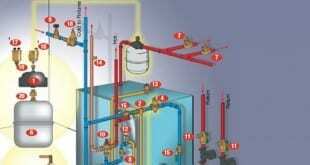 How do you light a steam boiler? Answer: assuming your steam boiler is a standing pilot boiler. Then you should follow the manufactures instructions on the boiler. If the instructions are gone, and if you’re unclear how to light the boiler then a call to your HVAC guys is warranted. Ask him to show you how to light the boiler properly. How to blow down a residential steam boiler with a Hartford loop? Answer: There should be a cap on the piping in the lower portion of the loop, and if your lucky there may be a shut off valve so that you can open the bottom of the loop to clean it out. Maybe a union is at the bottom of the Hartford loop and you can open that up to clean out bottom of loop. Is it illegal to have a side vent for your furnace in Chicago IL? Answer: If meaning PVC piping, no its not illegal or against code if you will. If your venting steel flue piping and it’s not in an outside chimney, it very well may be. refer to the manufacture’s of that furnace. 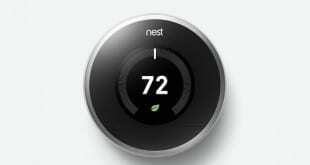 Is a 95% efficient furnace better than 80% efficient variable. Answer: It could be argued yes or no for that fact. I’m a kiss man, keep it simple stupid. My thought on variable speed any thing is that it’s just another product to break down. A 95% efficient furnace is nice considering your cost to operate is less. My heat and air system is very loud. Is that common? Answer: Not really, noisy HVAC systems can be caused by location of equipment, like in a closet in or near the living room where you watch TV and entertain. Other reasons for loud systems are dirty furnace filters, off balance blower motor, very dirty or not maintained system. Other factors are to be considered as well but it’s always good to seek advice from a quailed HVAC contractor. 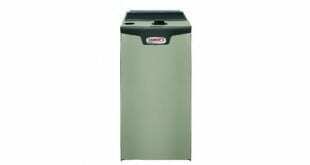 What causes restriction in air system on furnace? Answer: Many reason for air flow restrictions; such as clogged furnace filters, clogged evaporator coil for a/c, weak or failing blower motor, restricted return air, such as a central return blocked off with furniture or carpet. Other reasons could be improper duct-work to begin with. We see a lot of that. What makes your air conditioner get loud? Answer: Dirty air filter, clogged condenser coil, (outside unit) low Refrigerant, out of balance condenser fan motor or a defective fan blade. Location, such as in a cubby hole of building structure. Failing compressor can cause chattering and banging. What problems would a dirty blower motor cause? Answer: Havoc, the blower motor works for both heating and air conditioning. For heating a dirty blower motor and blower fan wheel will cause over heating of the furnace as well as weakening the blower motor. In air conditioning mode the dirty blower motor may cause the structure to feel clammy and uncomfortable. 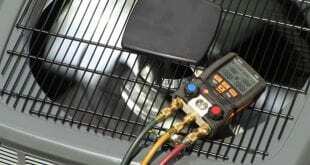 May also cause freezing up of the evaporator coil and refrigerant piping causing severe ac issues. Air flow for comfort heating and cooling purposes is very important. Call us or fill out our contact form, and we will get back to you immediately!